The global economy is worldwide place today, with consumers wanting to purchase from you everywhere around the globe. You don’t want to restrict your consumer base by shipping to only a select few customers in your geographic region. That’s where international shipping services come into the picture. 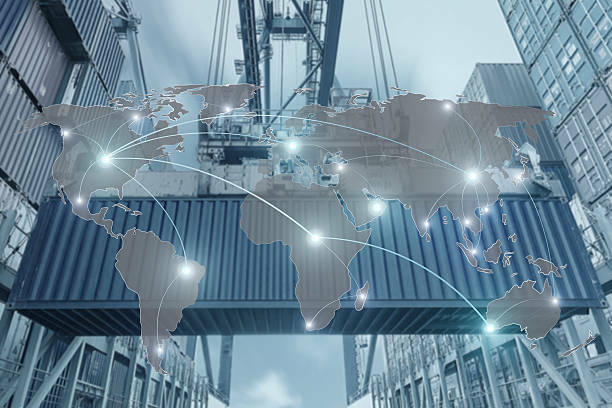 If you live or work in the DC region, or if you need to reach customers in the DC region, it is imperative that you know your options for international shipping in DC, MD, and VA.
With international shipping in DC ,MD, and VA, you can package, ship and track your products as they make their ways to unique customers around the world. Now, you can advertise your products to every consumer online, or through social media. expanding your market to 8 billion consumers. To make it possible, we offer land and air shipping. For those in Mexico wishing to reach Canada, or those in Germany wishing to reach Russia, our fleet will transport your product by land to the desired destination. Using expert mapping and travel resources to get your products to their destination in a fraction of the amount of time taken by the other companies. We know the land backs of our hands, acting as a travel agent that can navigate any terrain. For everyone else separated by sea, we help your products take to the sky, redrawing a route directly to its destination using flight methods. For consumers in the Middle East wishing to reach Americans, or Mexican producers wishing to sell to Australians, our team can step in with experts packaging services and load the products up into the air for the quickest methods of delivery. No region in the world is now off limits from your company. Maybe you live in England and want to ship to Dublin. In this case, sea shipping is right for you, taking to the ocean for a swift “hop over the pond” to reach your consumers. It’s all about identifying which avenue is right for your location, saving you costs while you maximize your international shipping options available to you today. Whether by air, sea or by land, there isn’t an international shipping route we can’t take on behalf of your product. We want you to be able to reach an audience that is waiting for you in every niche community, providing seamless and supported shipping services you can count on. The world is your oyster today. There’s only one way to maximize its potential: it’s through international shipping and packing support. Remember 1 Stop Pack n Ship for all your international shipping in DC, MD, and VA needs. Call us today for a free estimate – 301-762-3715.